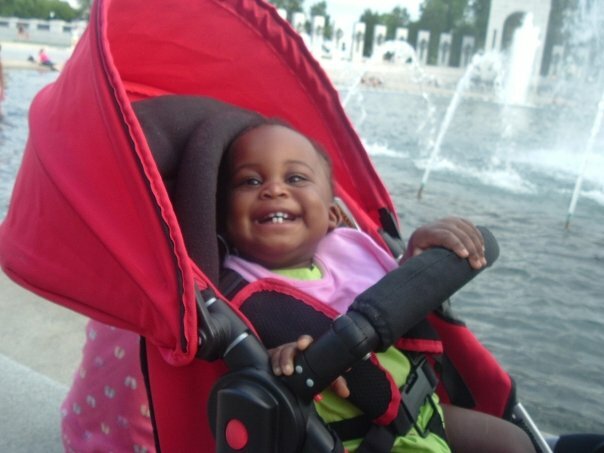 One of our daughters was diagnosed with Sickle Cell Disease when she was a couple of weeks old. Specifically, the doctor told us she had (SS) Sickle Cell Anemia. So, what is Sickle Cell Anemia? It is a genetic disorder, in which there are a smaller number of red blood cells than the body should contain. These red blood cells are not round; instead, they are c-shaped like a sickle. As a result, blood does not travel throughout the body easily. It is important for blood to move freely through the body carrying oxygen and disposing carbon dioxide found in the body. In a person with Sickle Cell Anemia, their blood may get clogged or stuck in areas causing extreme pain, organ damage, or other problems. Some people are cured by receiving a bone marrow transplant, but this option is not widely available for all patients and in some cases may not be complication free. When she was about 3 months old, the diagnosis was confirmed, I was crushed. I sat alone in my bedroom with my two babies beside me and cried for a couple of days. Dazed and confused at first, all I could think of was that Sickle Cell Anemia was extremely debilitating and the two people I once knew with the disease were dead. She looked at me and I knew in my heart that she understood. She would listen to Mommy and Daddy as we guide her to make the best decisions for her wellbeing. When my husband and I were in the doctor’s office for our third or fourth visit we were told that we both were carriers of the sickle cell trait; neither of us new that we had the trait prior to the visit. I was also too far along at that point to have the babies tested, but I don’t think testing them would have changed my decision to continue with the pregnancy. I prayed often that she would not have the disease, but she does and now we are focused on keeping her healthy and crisis free. Get the &amp;amp;lt;a href=”http://www.widgetbox.com/widget/nhlbi-dci-sickle-cell-anemia-quiz”&amp;amp;gt;NHLBI DCI Sickle Cell Anemia Quiz&amp;amp;lt;/a&amp;amp;gt;!